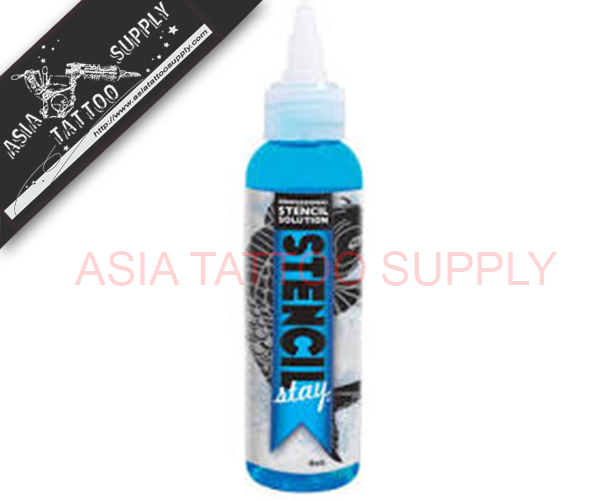 This superior, easy-to-use solution transfers stencils accurately to skin on the first try. It eliminates the need to outline and is suitable for all skin types. Directions: Ensure application site is clean and dry. Evenly apply a small amount of solution to the area so that surface is moist but not wet. Apply stencil art to surface and leave for approximately 30 seconds. Allow to fully dry (about 15 minutes) before starting to work on the tattoo.